How do we taste food? 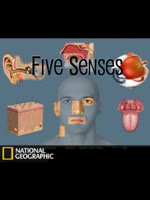 Watch a video to learn about your sense of taste along with all of your other senses! Tin Can Herb Pot - Grow your very own herb garden with recycled tin cans.